Monday 16th February 2009, 10:00-17:00 with poster session and drinks to follow. Wilkins Gustave Tuck Lecture Theatre (UCL, London). The aim of this meeting is to bring together a wide spectrum of UCL researchers to discuss issues of uncertainty in climate predictions and the impact of those uncertainties on our ability to accurately forecast the effects of climate change on urban and natural systems, human health and public policy. The meeting will encompass perspectives and open discussion on climate uncertainty from information providers (e.g. climate / ocean modellers), method providers (e.g. statisticians) and users of outputs (e.g. climate impacts and policy researchers). SESSION A – CLIMATE CHANGE IMPACTS: talks articulating the issues and questions arising in different application areas. Talks focus on what are the key questions about future climate in the different areas, how climate information is used, what sources of uncertainty have been identified as being of particular concern and what steps are being taken to address this. SESSION B – INFORMATION PROVISION: talks focusing on research that aims to meet the needs of the applications community: what information and techniques are available, what are the limitations, where is the potential for improvement in current practice? Over the coming decades, humankind will be presented with some enormous and interlinked challenges such as population growth, urbanisation and food, water and energy security; and the enormity of the task to address these linked issues will be made all the greater by changes to the Earth’s climate. A successful strategy will take the form of a co-ordinated, holistic and integrated approach. This lecture will outline these challenges, focus on the importance of collaboration between science disciplines and between countries and describe a number of the science and technology solutions available to us. Professor John Beddington was appointed as Government Chief Scientific Adviser (GCSA) on 1 January 2008. John’s main research interests are the application of biological and economic analysis to problems of Natural Resource Management including inter alia: fisheries, pest control, wildlife management and the control of disease. He started his academic career at the University of York and spent three years on secondment from York as a Senior Fellow with the International Institute of Environment and Development. He has been at Imperial College since 1984, where he headed the main departments dealing with environmental science and technology. He was Professor of Applied Population Biology at Imperial until his appointment as GCSA. He has been adviser to a number of government departments, including the Foreign and Commonwealth Office (on Antarctic and South Atlantic matters), the Department for Environment, Food and Rural Affairs (where he chaired the Science Advisory Council), the Department for International Development, the Ministry of Defence and the Cabinet Office. He was for six years a member of the Natural Environment Research Council. He has acted as a senior adviser to several government and international bodies, including the Australian, New Zealand and US Governments, the European Commission, the United Nations Environment Programme and the Food and Agriculture Organisation. In June 1997 he was awarded the Heidelberg Award for Environmental Excellence and in 2001 he became a Fellow of the Royal Society. In 2004 he was awarded the Companion of the Order of St Michael and St George by the Queen for services to fisheries science and management. Catastrophism, the pumping up of dangers of all sorts as if the world would end tomorrow unless we all follow the catastrophist’s opinions, must have been with humanity since the first time somebody was able to foretell a solar eclipse. The two authors are making the same point: the main motivation for the violence is in the people’s conviction that things are going pretty badly indeed, and they have to do something, however illegal or immoral. So next time somebody will try to argue that it is our duty to consider mostly worst-case scenarios, I will just remind them: catastrophism, with all its baggage of unintended consequences, is a Pandora’s box. With Hope removed. A guest blog by writer and researcher Gregory Fegel (gregoryfegel AT hevanet DOT com). Provided “as-is” in order to enrich the debate, whatever my opinions on the topic are. Surely everybody believing in using the Precautionary Principle will agree with these words? the very real threat of the approaching and inevitable Ice Age, which will render large parts of the Northern Hemisphere uninhabitable, is being foolishly ignored. How many times have we been told that the consequence of an increase in CO2 concentration has to be an increase in temperature because laboratory studies have incontrovertibly shown the “greenhouse” nature of CO2 (and other gases)? And yet, the (negative) reply to those claims is very simple. Everybody can incontrovertibly verify in their own kitchen that warmer air moves upwards, and colder air downwards. We can call that the “greenhouse” nature of height, to be translated in mathematical models whose runs will surely convince some climate scientists about the existence of sizzling mountaintop conditions. To anticipate the usual comments: the above cannot be used to disprove the greenhouse effect of CO2 in the atmosphere. But it shows that such an effect has to be proven in the real world, rather than on paper simply by reference to what is found in laboratories and using theoretical physics. Any of a group of scientific communication disorders usually characterized by confounding the reality of what happens in the present day with the possibility of what may happen decades in the future. Schizochronia is associated with catastrophist thinking and may have an underlying political cause. Is Anthropogenic Global Warming or Climate Change happening? The answer to that, many people believe it to be yes. There’s even a scientific consensus stating the same. 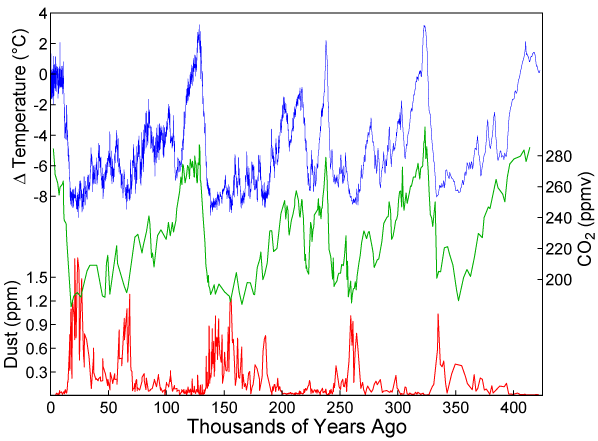 Has Anthropogenic Global Warming or Climate Change already happened? The answer to that, many people believe it to be yes. Trouble is, there’s no scientific consensus stating the same. In truth, according to the scientific consensus around AGW and CC, they cannot have happened as yet. Usually, AGW and CC are coined in future tense. They must, for the sake of honesty and scientific truthfulness: think of “climate model projections” indicating temperature rises yes, but for later decades in the twenty-first century; and of the overwhelming majority of effects, expected rather than already observed. What we have witnessed in the past few years instead, has been a rush to “discover” evidence for AGW and CC in today’s world. Lots of “smoking guns” and plenty of “wake-up calls”, appropriately trite expressions to accompany for evidence that quite simply cannot be there…unless the scientific consensus on AGW is very, very wrong. Invariably, smoking guns have been revealed empty, and wake-up calls mute. There is nothing to show for AGW and CC, as I find myself repeating. Cue this blog, Watt’s, Climate Audit and countless others. Cue the amount of skepticism in practical circles such as among engineers and meteorologists. Now, why is the simple point not more forcefully explained by leading AGW proponents: that the science refers to what might happen later this century, and that the search for current signs of impending future catastrophes is to the edge of pointless? One may be forgiven to think that the issue is being polluted by advocacy, as the revelation of absence of evidence could pretty much kill all present political efforts in matters of climate. But if this schizochronia between claims about the present and science about the future has been useful so far, obviously it has to be continuously fed, and the more so as the years go by, like a biding of time until something truly tangible finally surfaces. You see, we already have people openly hoping for major climate tragedies to happen in front of TV cameras, the sooner the better. Expect lots, and I mean lots of additional “climate change has already ruined the planet” claims in 2009. Anybody up for a new “Bus Campaign”? Although HuffPost welcomes a vigorous debate on many subjects, I am a firm believer that there are not two sides to every issue, and that on some issues the jury is no longer out. The climate crisis is one of these issues. Evidence for Warming – And Yes, It’s Good News!